One month ago I shared my Summer Bucket list with you so let’s check in and see how it’s going. I love to travel and I especially love to travel in the summertime so of course the first thing on my list includes a list of travel. 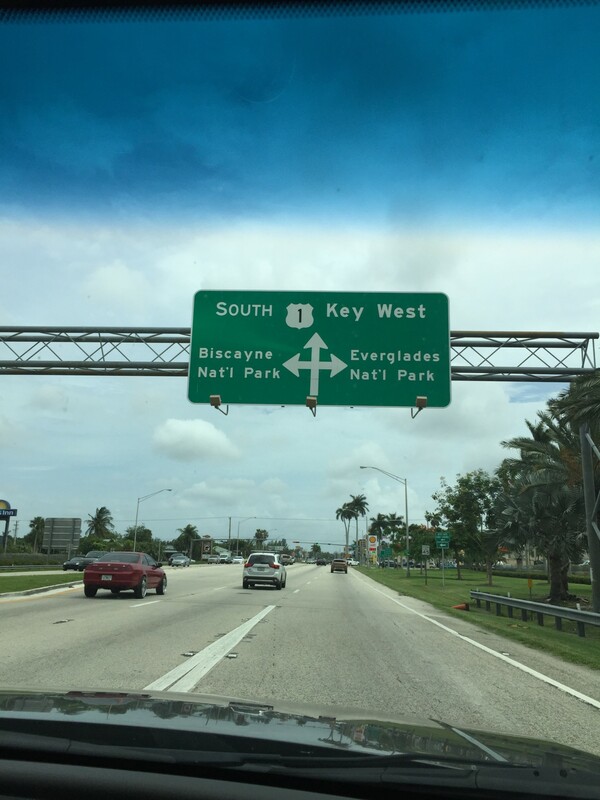 Florida Keys (times 2) – Thanks to hubby’s job, we drove all the way down to Key West. 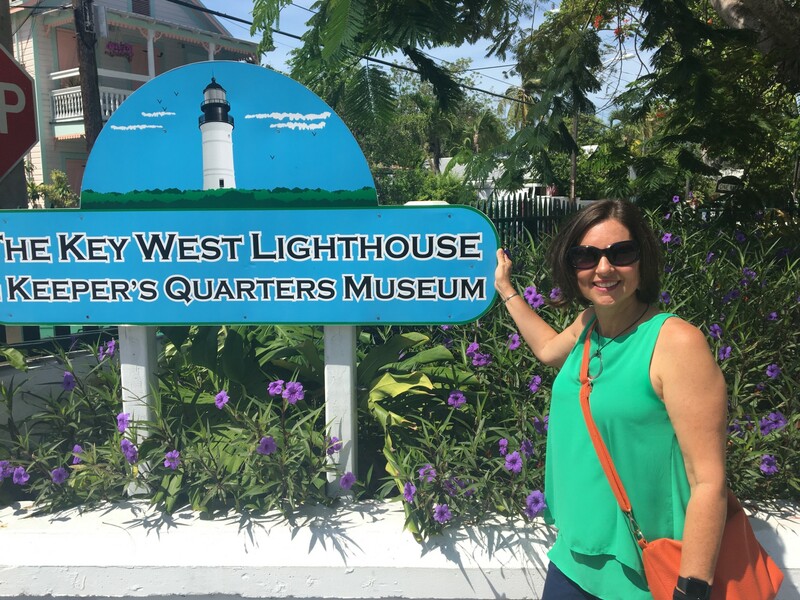 In case you missed it, I shared my Must-Do Things in Key West, 5 Must-Do Things in Key Largo and yesterday I shared what to see and do in all the keys in between! DONE! St. Louis MO – Completed this one last week for MY work. My friends and I made a trip to the Novel Neighbor, an independent bookstore I learned about from Anne Bogel of Modern Mrs. Darcy where we totally fangirled our way around! We also got to visit the Arch and the Hill. (Blog post about that coming up soon!) DONE! The Breakers in Palm Beach – Again a work trip for hubby. It’s a Henry Flagler hotel that is just beautiful. NOT YET. COMING SOON! The Mountains (maybe? still in the works) – Although we Floridians like to escape the heat in the middle of summer, the plans for doing so fell through. We will go to the mountains when we go see the solar eclipse. SCRAPPED. Not happening. Solar Eclipse trip – I’m especially looking forward to seeing the total solar eclipse on August 21st now that I’ve read He Said, She Said. We will drive to South Carolina to catch it. Here’s a link for the path to see where you’d have to go if you want to see it too. NOT YET. Heading to Jekyll Island today to meet up with Michael Ann for a beach day! We worked together last week and will play together this week! Even though we live 30 mins from the beach, I haven’t been to the beach very much this summer! I’ve been too busy traveling! Although we had planned a ride on the beach in our vintage Jeep that Michael and I dated in, it hasn’t happened yet because Michael has been wearing this all summer. (Makes driving a stick shift a little tricky!) NOT YET. One of my favorite things about summer is having some relaxing reading time. I blogged about what’s on my summer TBR here. Although this one was at the top of my list, I haven’t had a chance to read it yet. I’m probably going to have to buy it since my library doesn’t have it and I doubt I’ll be able to get it on Inter Library Loan. I found out that the author, Tsh, has a podcast. It’s called The Simple Show and have been binge-listening to it. You can fin d it here. I have this book in my Overdrive queue. It’s next! I placed a hold on this book with my library in various formats and the one that came in first was on CD. I thought I’d listen to it when I was driving around in the car but I found that I didn’t do that so back it went. The little I did hear didn’t captivate me, though, so I may just let this one go unless it comes in on Overdrive. I did read (listen to) this book and really liked it although it’s about a really difficult topic. It REALLY made me think! I recommend it but it deals with some tough issues. Michael and I checked off the first lighthouse in the book on Florida lighthouses. We’ll have to see if we can get another one in when we head south again in a couple of weeks. That’s about it for now. How is YOUR summer bucket list going? Let me know in the comments or link up with us below! That was so fun! It’s hard to make any headway when all we’re doing is packing, unpacking and laundry! See you soon!! You have done very well on your bucket list so far. Sounds like you are doing a lot of traveling. Yep! I’m home a week and then am off again! The only bad part is it makes the summer fly by! It sounds like summer has been full of fulfilling activities! Great update! It has! But it’s been flying by! School will be starting before you know it!! ? Hahaha! You can be our driver Natalie! Ok! You’re hired! Good luck with the half marathon. I managed to tick mine off the list in July. I love to travel and also enjoy lighthouses. Will check out your book list as I haven’t heard of any of these. Enjoy the rest of your summer. Thanks Sue! I have a bit of bursitis going on right now so I’m taking a running break. I’ve added some Pilates and yoga to loosen up a bit! Hope I can get back to running soon! Came by and read your post earlier then my daughters came to visit and I forgot to leave a message. What’s up with your hub’s foot? 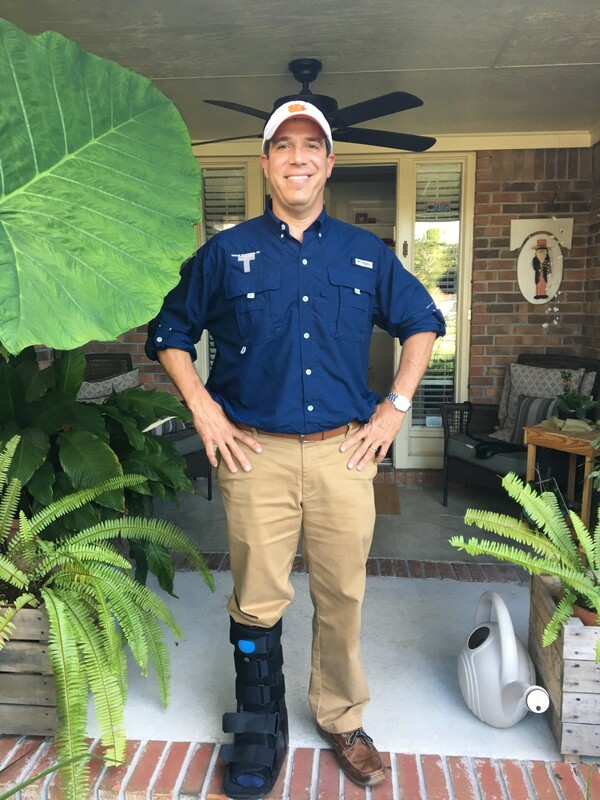 My PC just bought a similar boot in hopes that it would help him walking at work with plantar fasciitis. And then today, after receiving the boot on Saturday, he decided not to wear it after all. You look so fit and trim in your Zooma outfit. I have really fallen off the fitness wagon. But hope to get back on it this week. Have looked into Zooma in Texas but the only race they have is in Austin, 500 miles away. Hoping to catch a few local 5Ks before the year is out. Love that you and Michael work and play together. Takes a very special couple to be able to balance that! Glad you and Michael Ann got together. Get to the beach, woman, before the summer is behind us! Poor hubby! He hurt it working out. Then he did that 10 mile race and really messed it up! I have more beach planned as we head south in a couple of weeks. I really can’t handle too much sun exposure though so it works out. Sounds like you’ve had some great travel adventures so far. I hope Michael gets rid of the boot soon, so you can get to the beach. Good luck on your half marathon! I can’t believe it is already another month since the last bucket list – where is the time going – too fast! 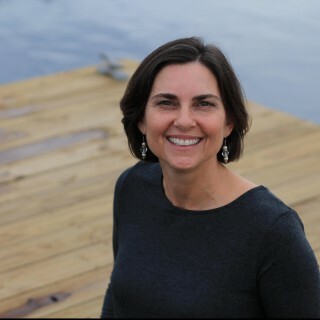 You look awesome – and I give you credit for training for a 1/2 marathon. Time is flying! Hubby and I were just commenting this morning on just how fast this summer is going! The training has been slightly derailed due to a fussy hip. Hopefully I’ll be back at it soon!